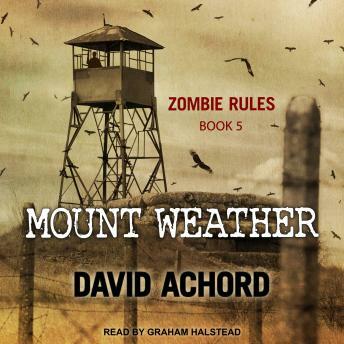 In the ongoing saga of the Zombie Rules series, Zach, his family and friends are lured from their home in Tennessee and relocate to a post-apocalyptic bunker known as Mount Weather, nestled in rural Virginia. They have been promised a better life by none other than the President himself. Zach's apparent immunity to the zombie virus may hold the key to creating a vaccine and securing a future for the human race. Life at Mount Weather is indeed a significant improvement from their former life, but it is not without its dark side, and Zach finds himself having to make a difficult choice. Outstanding book. Looking forward to the remaining story. Captivating and realistic. Another fantastic book! It is an exciting series to read. The characters feel like family and with every twist and turn is an exotic album rollercoaster!! The Narrator does an awesome job distinguishing between each character! This book was not my favorite, still enjoyed it . Ready for the last one.